The Projects feature of KashFlow allows you to group certain income and expenditure together, allowing you to assess how profitable or expensive a certain part of your business is. This is useful for departments within your business, retail branches, jobs and events. Projects is a generic name that we have enabled by default, you can change this easily to something more meaningful for your business. – Please note that this should be entered in its singular form, it will be pluralized automatically, for example type in Department rather than Departments. Go to Settings -> Project Settings and tick Enable Projects. Once done you can choose a few options like Let me assign individual lines of Invoices to different Projects. 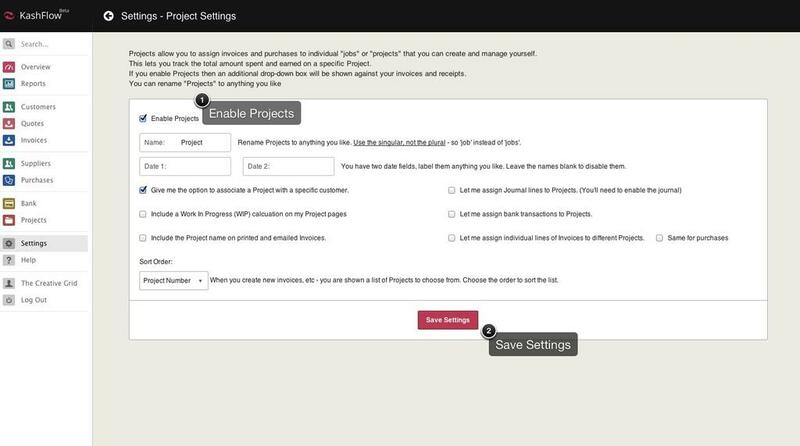 This will allow you to assign multiple Projects to invoices/purchases. Once you have enabled the ‘Projects’ facility a new tab in your menu bar on the left. 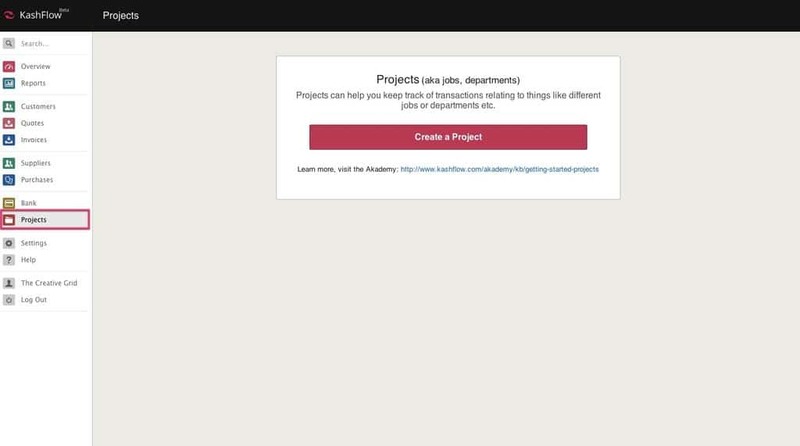 To create a Project you navigate to Projects in the main bar> Create+. The tab will be labelled Projects unless you’ve renamed this to something else. We hope this helped you with the Projects side of things in KashFlow, of course if you have any questions let us know on support@kashflow.com.